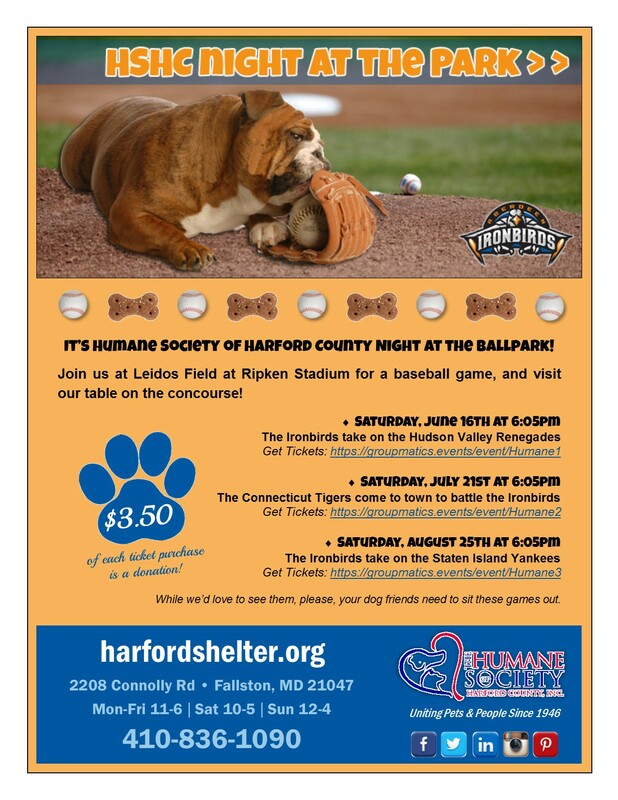 It’s Humane Society of Harford County Night at the Ballpark! Join us at Leidos Field at Ripken Stadium on Saturday, July 21st for a baseball game, and be sure to visit our table on the concourse. $3.50 of each ticket purchased is a donation to the shelter! Use our unique links to purchase your tickets. See Ya at the Park! While we’d love to see them, please, your dog friends need to sit these games out.